How do the floats transform?! The puppets change at the blink of an eye! 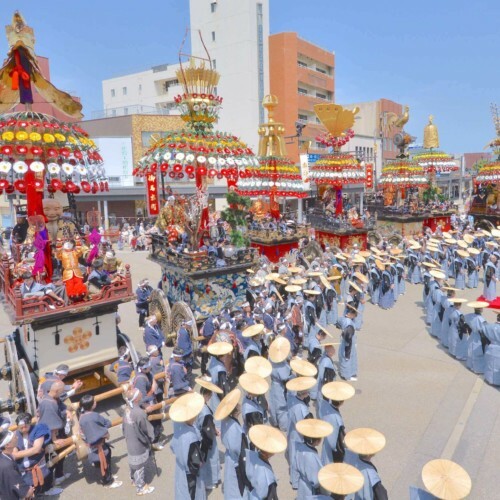 The Hitachi Furyumono is not the name of the festival, but the name of the giant floats containing several different mechanical contraptions, or "tricks," known as "Karakuri". Karakuri have been used in Japan for ages and their mechanical quality is just exquisite. 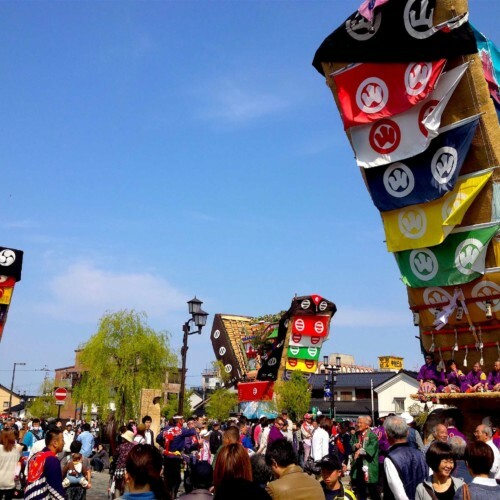 These floats, reaching 15m in height and weighing up to five tons, actually change their shape thanks to these Karakuri. These massive floats open up, before your very eyes, into a five-level performance stage, a sight you won't want to miss. 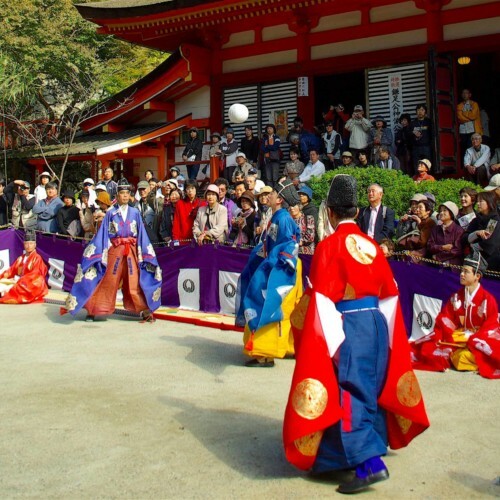 Upon these stages, traditional puppet theater performances based on Japanese history and folk tales unfold as festival highlights. 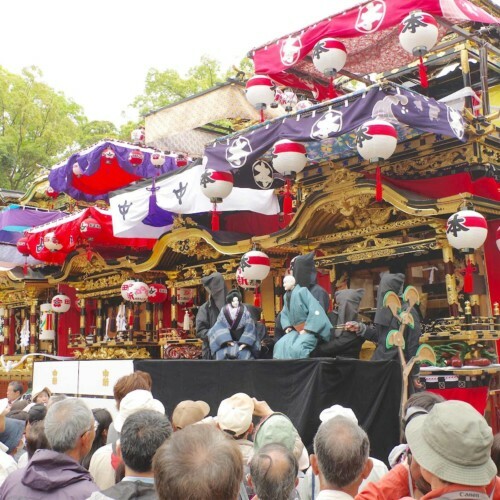 These puppets are also spiced with several Karakuri and change appearance in the middle of acts in the blink of an eye. These shows are performed in both front and back of the floats and the whole float is spun around 180 degrees after one show ends, marking the start of the show on the other side. The acting ability of these elaborately created puppets, and the sight of them walking around the float's stage is a treat you won't want to miss. It is possible to see, one, yes, only one of these Hitachi Furyumono at the Hitachi Sakura Matsuri. 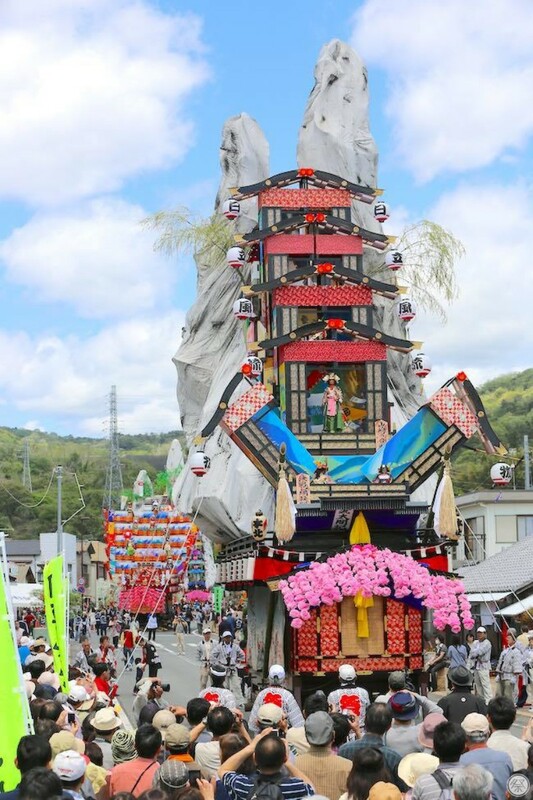 However, once every seven years, you can see four of these floats gather at the Grand Festival of Kamine Shrine. Be amazed at the rare splendor of these four floats in one location at the same time. 1．Watch the floats shapeshift in the middle of the festival! There are four Hitachi Furyumono in total. They each boast separate decorations and puppet acts. One of these four floats stars in the Hitachi Sakura Matsuri. 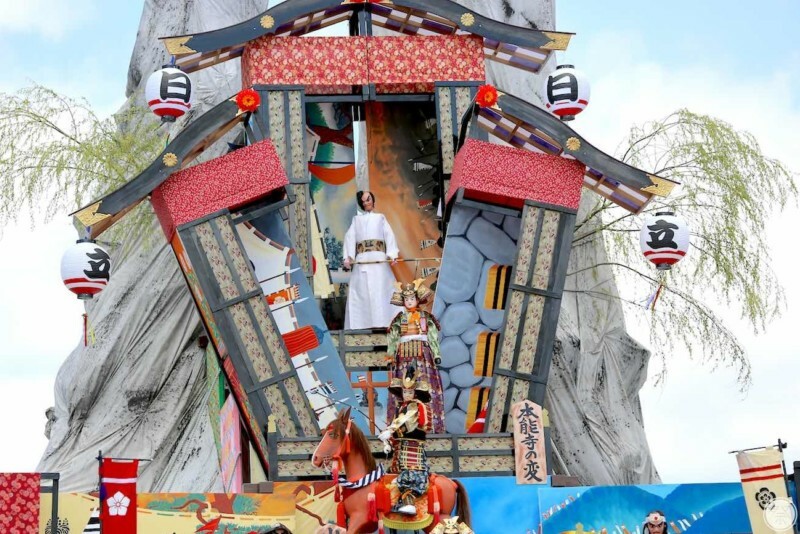 Once the puppet show starts and the festival Hayashi music begins, the float's Karakuri kicks into action transforming the float into a five-level stage. 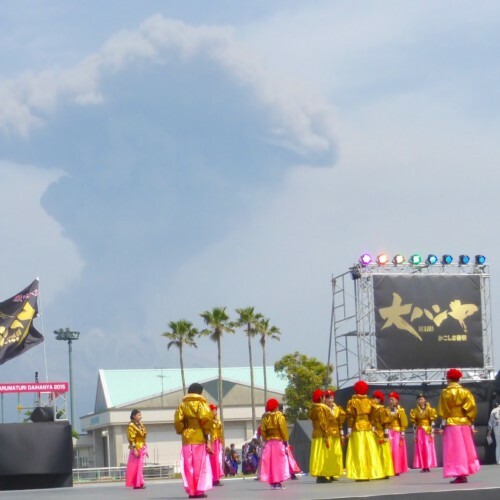 The opening and closing of the stage, along with all of the Karakuri of the puppets are all performed by human power. 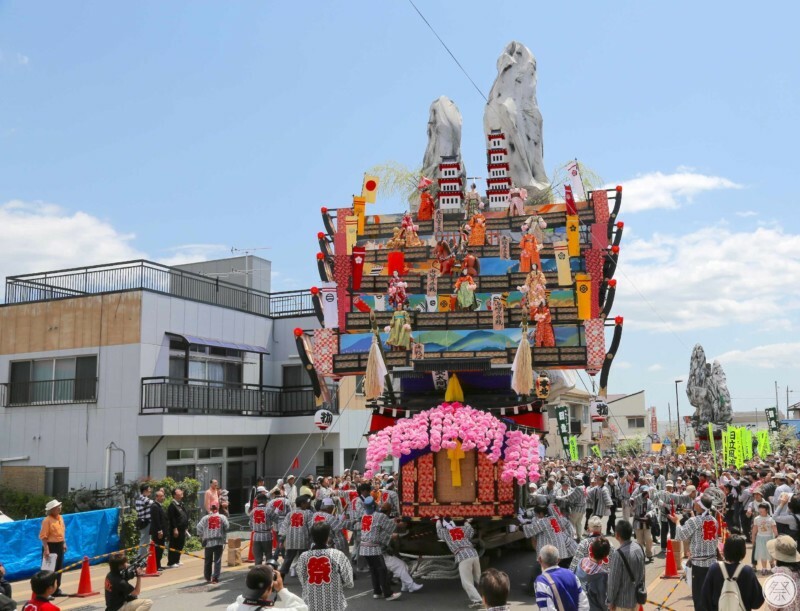 That means that over 30 people, including puppeteers and musicians climb inside the float which is maneuvered around by an additional 70, making the whole performance possible with the help of over 100 people. As the puppet theater pieces are performed on the stage in front of you, take notice of the flashy costumes and the detailed movement. These puppets are roughly 1.5 meters tall and require two to three puppeteers to maneuver just one of them. During the acts, the puppets use swords and bows, dance and perform all kinds of detailed movements to mesmerize the audience. The arrows shot out from the float are for whoever catches them to take home. These puppets also perform wardrobe changes and character changes in a split second, for example spinning in place while turning from a warrior into a princess. 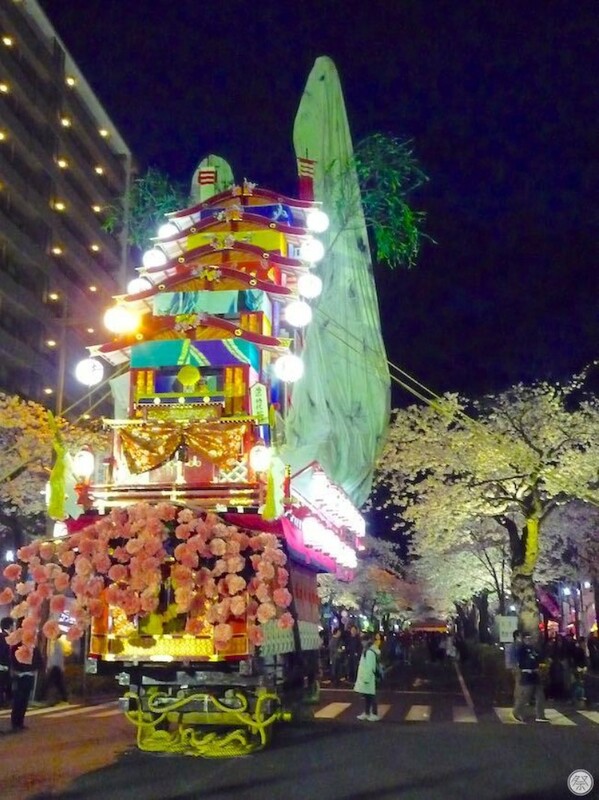 3．Appreciate the Cherry Blossoms in full bloom collaborate with the massive floats. The Hitachi Sakura Matsuri is held in front of Hitachi Station on Heiwa-dori, one of the top 100 locations for Sakura (cherry blossom) viewing in Japan. Over 100 trees stand over the floats and are lit up at night to cast a most beautiful atmosphere over the entire festival. 4．Catch the chance to see all four floats together, every seven years! Always held on May, 3rd through the 5th. 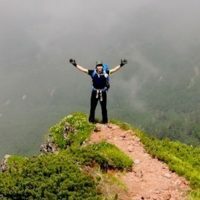 Next is in 2019. The float spins around 180 degrees during performances so please keep a safe distance. Arrows are shot from the stage towards the audience so please keep cautious. Please follow the instructions of staff and police members during the festival.